Today marks the end of week 6 of my training plan. It seems like just the other day that the plan started – crazy! Ten weeks today I’ll be toeing the line on my first marathon – a big step into the unknown. Every week brings new experiences, running further and for longer than I’ve ever done before. Today was 16 miles, which I ran at an average pace of 9:20/mile. It wasn’t quick, but that wasn’t the purpose – these long runs are about adapting to running for a long time. After last week’s 14.5 miles, I couldn’t imagine running further, yet here we are with 16 in the bag. That gives me the confidence to know that in 2 weeks when the long run increases to 18 miles, and then 20 the week after, I’ll be able to do it. It might not be fast, or pretty, but I’ll get it done. So much of this marathon journey is about pushing beyond existing boundaries. There comes a point (a couple of weeks ago for me) where the challenge is more mental than physical. Having raced a bike for so many years, I know that physically I’ll be able to do it. But I remember my first 50 mile time trial – mentally I went through so many ups & downs. However once you’ve done one, the next becomes easier, as you know you can physically do it, and so it goes. On these long runs I listen to podcasts. 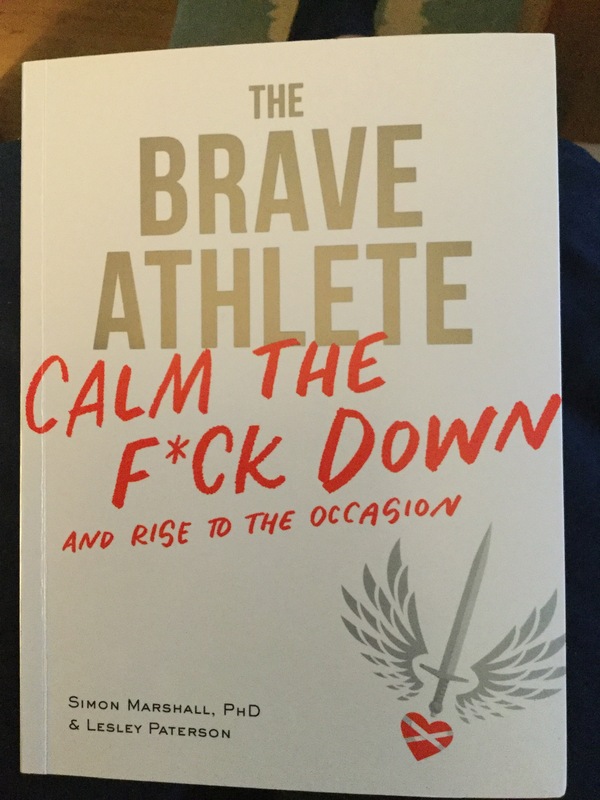 I always start with Marathon Talk, and two weeks ago they interviewed the guys from BraveHeart Coaching, about their new book – The Brave Athlete. I’m a couple of chapters in, and I think this is really going to help me with those mental challenges that lie ahead. It’s coming on holiday with me this week, so I’m looking forward to getting properly stuck in. Tomorrow morning we take the train down to London to spend the week with our daughter Rebecca, who works as a designer in the fashion industry. We’ll be staying in Balham again, so I’m looking forward to training somewhere different, but on roads (and in parks!) that I know well. London is a lot warmer than Dundee, so Tuesday’s tempo session in 20+ degrees is going to be interesting. Stay tuned for updates on that…. Thanks for the post dude, my good lady is getting to the 18-mile terrain on Marathon Journey and finding it tough, will definitely grab a copy of this for her. Cool, thank you and good luck to her. Yeah, I’m impressed with it so far. Looking forward to reading more this week. Thanks for the tip! Pushing beyond existing boundaries–sounds like you’re developing the true marathon mindset! Yay for 16 at a solid pace. Enjoy your holiday Ali!